 Ace Computers is offering Premium Email Services New Delhi, Gurgaon, Noida with Fully-Managed Professional Service. Our Business grade emails are committed to enhance your workability and starts with 25 GB of storage space per email account. Industry standard Spam filter to completely prevent any spam to make into your mailboxes! Full control to custom filter inbound & outbound mail. A whooping 25GB of entry grade storage makes sure that you never run out of storage space. You can grow from 5 to 500 Email Accounts in no time. No Hidden charges whatsoever. No usage charges, no cap on number of files (inodes); What you see is what you get! Communication is core of IT and we understand each bit of it. Our email services are fully backed by a 100% uptime guarantee! Getting through emails or troubleshooting the transactional emails is a difficult task for business owners to manage. Delay in communication incurs loss of business. Our Business Premium Email accounts offer 100% tracking of your emails and makes sure that our fully managed services keeps you up and running all the time. We offer easy to use tools that will help you transfer your existing email accounts, calendars, contacts, tasks, journals, and notes* from your existing email provider to Premium Business Email. And of course, we are always here to help. No more complicated email servers to manage or troubleshoot. No more troubleshooting related to your accounts or IP address to be removed from various blacklist monitoring. As premium email services New Delhi, our objective is to remove any cap as storage limit from email accounts. That is the reason we are offering 25 or 100GB mailboxes. You do not need to worry about cleaning or archiving your mailboxes frequently and can save your precious time. We are offering best in class premium email services New Delhi With 25GB of data storage space on our hosted email solution.